Crossfields Institute’s strategy regarding research is to promote and encourage a research based approach within the organisation and the organisations we serve and work in collaboration with. Research is viewed as one of the primary areas where we can work collaboratively with peer organisations to learn, share practice and develop strategic links. The promotion of research within the organisation relates particularly to the development of our own practice. Our staff are actively encouraged to engage in learning and research as an integrated part of their job role, and a number of staff are either on or have completed Masters or PhDs. A further example of a recent research project in our organisation was an action research project called ‘Crossfields 100’. This research explored the impact on staff productivity and wellbeing of short but regular periods of reflective personal time during the working day. All staff (not just academics) were invited to take part as both participants and co-researchers. Crossfields Institute hosts research conferences on a regular bases. These are normally organised in collaboration with universities and partner organisations. We have so far held eight go these conferences. 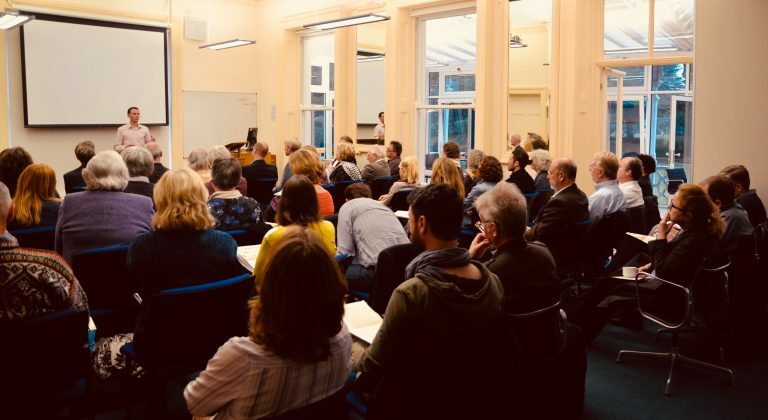 Another regular research activity is our Research Forum, the aim of which is to study, present and discuss relevant questions in education and social innovation, with particular focus on current academic debate. The work takes place in regular seminars and is meant to contribute to the enhancement of the research profile of the Institute for Education and Social Innovation (ibugi), Crossfields Institute (CI) and partner organisations.The Forum is intended for PhD or Masters candidates or researchers working in or related with ibugi, CI and partner organisations. Participation requires a personal invitation or prior approval of the coordinator.